UnelmaMusic and UnelmaMail API have been published to ProgrammableWeb's API Directory! 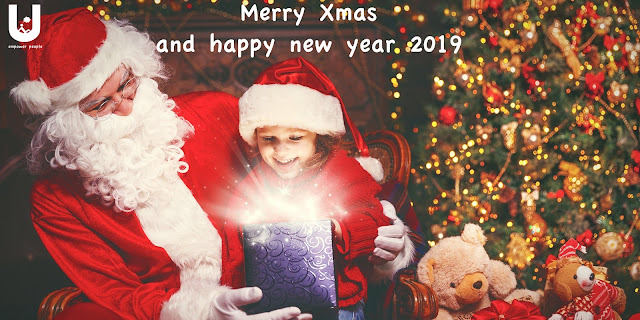 Excellent news from Unelma family before the Xmas season and holiday will start. 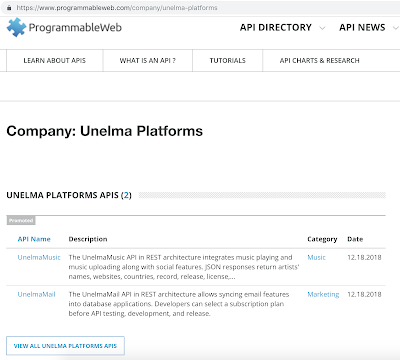 Both of our APIs from two different platforms: UnelmaMusic and UnelmaMail have been now accepted and published to ProgrammableWeb's API directory. Similarly, UnelmaMail API in REST architecture allows syncing email features into database applications. Developers can select a subscription plan before API testing, development, and release. ProgrammableWeb is a source for open APIs, mashups and web as the platform. MuleSoft has acquired ProgrammableWeb. Salesforce acquired MuleSoft in $6.5 billion recently. 3. We use a valid SSL certificate to do any transaction McAfee security certification shows that we are Security products & protection from attacks. 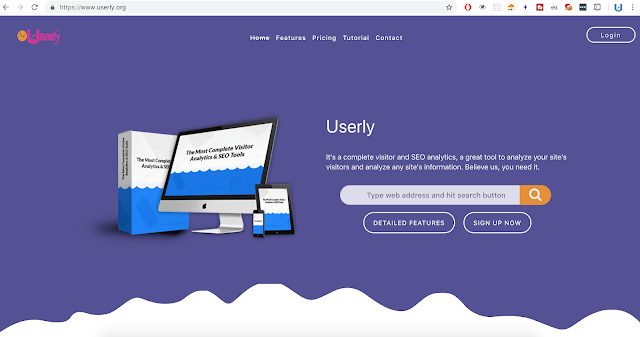 Our developers have updated Userly.org to version 5.0. In this update, we have focused on a lot of improvements.
! 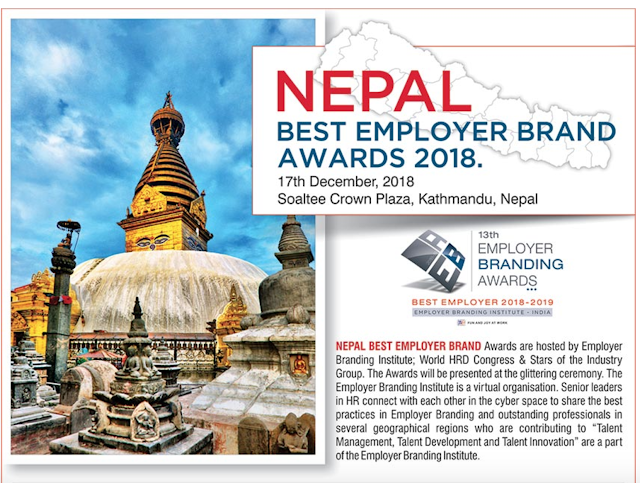 It’s our pleasure to invite you for theNEPAL BEST EMPLOYER BRAND AWARDS 2018scheduled on17th December, 2018at Crowne Plaza, Kathmandu. Do let me know if you or your organization is interested in participation at the below mentioned program, I am sure your organization would like to leverage the opportunity by submitting & winning the award at such a great platform. 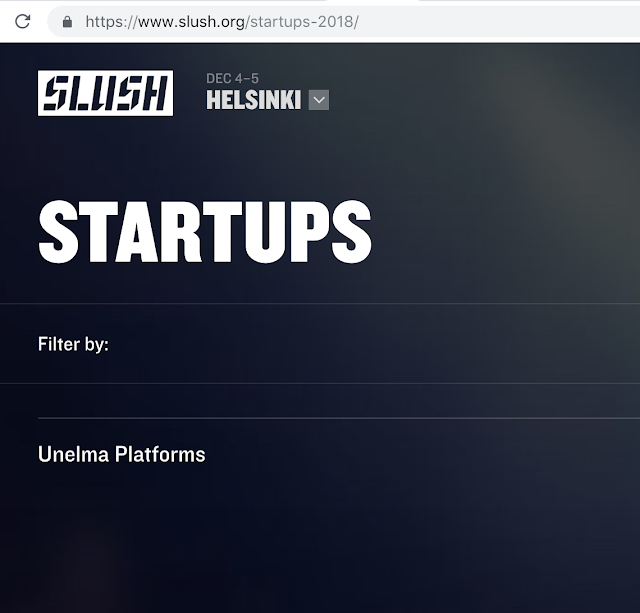 We were accepted at Slush 2018. Here is the proof.